For the first Friday in February, Black History Month, I thought this was a fitting post forSongs of My Faith. I can't remember a time where equality wasn't tied to my faith. I'm not exactly sure where this began. It could be from the understanding that race was not a qualifier to follow Christ. This came to light for me in the intentional meeting of my childhood church, Mint Hill Baptist, with Greater Providence Baptist (a predominantly black congregation) on the 5th Sunday of the month which began in the mid-90's. Or it could be tied to the eye opening words of Paul in Galatians 3:28, "There is no longer Jew or Greek, there is no longer slave or free, there is no longer male and female; for all of you are one in Christ Jesus." Wherever it began, I remember vividly the quick connection I felt to DC Talk's title track on their Free at Last Album. Like many of DC Talks tracks from this era, there is an interesting audio intro to the track. You hear, a pastor or minister of music conducting the congregation to sing the spiritual Free at Last. The group then proceeds to tie the spiritual to their new take on the song. I love how the spiritual merges a personal freedom for slaves to a spiritual freedom found in Christ. The group draws on this with nods to Dr. King's I Have a Dream speech. No doubt as my faith was continuing to grow, this song encouraged the deep connection for me between equality and faith. So this month as we remember the struggles of many to fight for equality for blacks in America, let us celebrate the freedom we have in Christ and continue to not only be aware of those who do not have equal footing in our country, but work to bring about equality for all. One of the first places Thomas and I visited as a tourist in our new city was Wakulla Springs. I moved to Tallahassee over Christmas break in 2011-2012. On our first long weekend Thomas' parents came down and we journeyed to Wakulla Springs. We had lunch in the lodge and then took a boat tour. 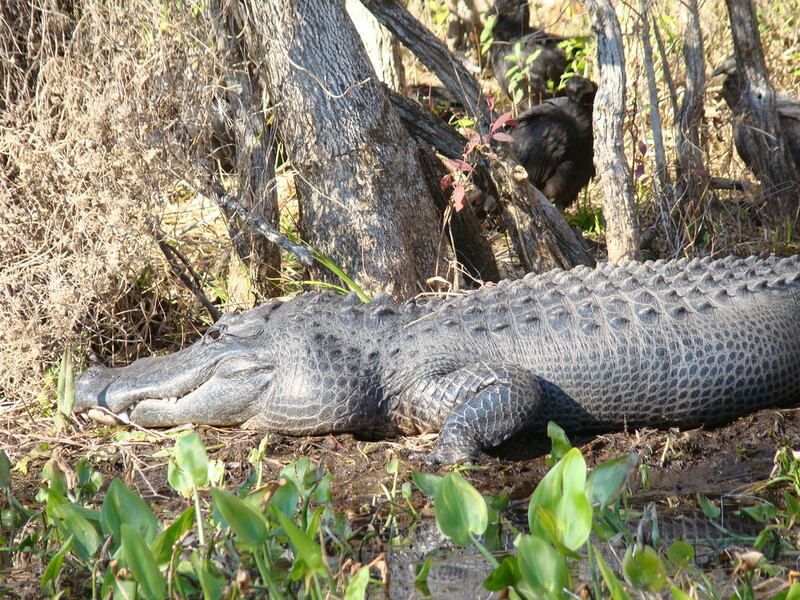 There was a lot of wildlife, including alligators of which I am not so fond. In case you didn't know, Wakulla Springs is where several early Tarzan movie were filmed. However, all that's left of his tree is a stump. I love that not too far from where we live there are so many state and national parks. We really enjoyed getting to see native wildlife and look forward to traveling to other parks soon. Thanks for journeying with me for a Taste of Tallahassee. Growing up my mom read to me and I LOVED it! She was so great at making the characters come to life. However, when it came to reading by myself, I just couldn't get into it. I remember being in high school and trying to do my required reading for English class and falling asleep often. Flash forward to adulthood. After my move to FL, two of my friends from Columbia started talking about a road trip to FL to visit Harry Potter World. I had seen the movies, but not read any of the books. I wanted to join them on their trip to Universal, but felt like to really appreciate it I needed to read the books. When I did, something happened. I began reading a couldn't stop. What I imagined would have been boring, was exciting and I read the entire series in just a few months. Yes, the books are written for children/teens, but at least I was reading! Now, I'm totally a Harry Potter dork and can't wait for them to open up the new section at Universal! So, after our journey to Harry Potter World, I didn't want to stop, but I knew I should keep it on the young adult level. Thomas and I decided to begin reading the Hunger Games trilogy before the first movie came out. I really loved this series. I don't know why, but there was something about this young adult, dystopian genre that kept me wanting to read. I waited a few months and tried a few other genres that really just didn't cut it for me. In December, when we were going on vacation, I borrowed Divergent from a co-worker. LOVED IT! I finished it before our five day vacation ended and then picked up the next two books and read them during our 10 day Christmas vacation. Needless to say, I cannot wait for the movies to come out (the first one comes out in March). I love the main character Tris! She has such an internal conflict with who she is supposed to be, who she wants to be and spends a majority of the trilogy trying to find a balance. The dystopian genre is definitely interesting to me. So I've been getting suggestions for what to read next. So far I've heard A Wrinkle in Time and Nineteen-Eighty-Four. What would you add to the list?